Walmart has unveiled a new food safety program that will require suppliers of fresh leafy greens to use a blockchain-based solution the retailer piloted with IBM. Called the Walmart Food Traceability Initiative, the effort aims to provide suppliers the ability to trace fresh, leafy produce from farm to table in real time using the IBM Food Trust Network. Walmart said blockchain enables digitized sharing of data in a secure, trusted manner, allowing more open access to information gathered by suppliers. Walmart and Sam’s Club yesterday sent letters to suppliers of these products to inform them of the change. Suppliers will be required to capture digital traceability event information using the IBM system and be up and running on the network in about a year. The timetable set by Walmart allows direct suppliers to comply in two phases: one-step back traceability on the blockchain network by Jan. 31 and end-to-end traceability back to the farm by Sept. 30, 2019. 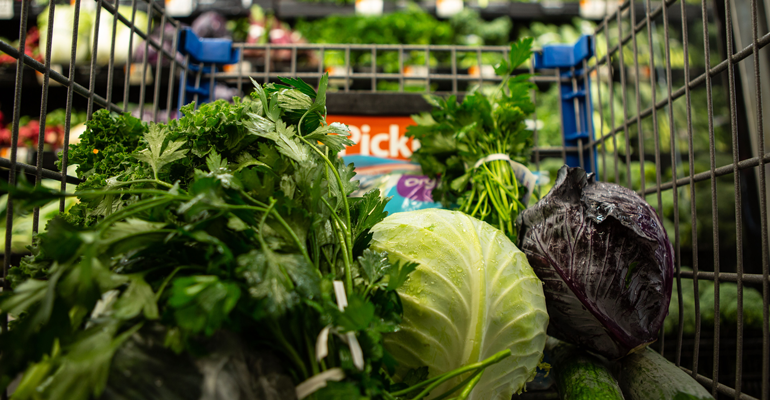 Walmart said the traceability push stems from a recent series of high-profile recalls from salmonella and E. coli contaminations — notably the multistate outbreak of E. coli O157:H7 linked to romaine lettuce. The company reported that the outbreak led to 210 confirmed cases of E. coli infection and caused 96 hospitalizations and five deaths. Technology that enables leafy greens and other products to be traced back to the source quickly during an outbreak can minimize the consumer health impact and reduce losses of uncontaminated products incorrectly linked to an outbreak, Walmart noted in the letter. In addition, such capability would allow health officials to conduct faster, more comprehensive root-cause analysis to aid future prevention efforts. “Walmart believes the current one-step-up and one-step-back model of food traceability is outdated for the 21st century and that, by working together, we can do better,” the company told suppliers. Walmart and a number of its suppliers, including Dole Fresh Vegetables, tested the IBM solution over the past 18 months. Using the IBM blockchain technology, the participants found they could cut the time it takes to track a food item from a Walmart store back to source in seconds instead of days or even weeks, the Bentonville, Ark.-based company said. Yiannas illustrated the current challenge: Using paper-based ledgers may take seven days to track down a product’s source, and a typical grocery store stocks 70,000 food items. To help suppliers get going on the IBM Food Trust network, Walmart and IBM have provided instructions at http://ibm.com/food/getstarted. The companies also have posted a list of frequently asked questions and plan to post prerecorded webinars to explain the new requirement and how suppliers can comply. Also signing the supplier letter with Redfield and Yiannis were Martin Mundo, senior vice president and GMM for produce and global produce sourcing at Walmart, and Russell Mounce, vice president and GMM for produce, floral and bakery at Sam’s Club.